As part of a ceremony, the new station in Münster (North Rhine-Westphalia) was opened. After almost three years of modernization, the main railway station in Münster shines with its sun-drenched lobby in a whole new light. The approximately 70,000 daily travelers and visitors can look forward to a state-of-the-art traffic hub with attractive shopping opportunities. Travelers' luggage and bags can now be stored in LockTec GmbH's Locksafe5 secure electronic luggage lockers. Both Dr. André Zeug, Chairman of the Board of DB Station & Service AG, and Ronald Pofalla, Board Member responsible for infrastructure of the Deutsche Bahn, who spoke with a video message, mentioned in their speeches the state-of-the-art Locksafe luggage lockers. 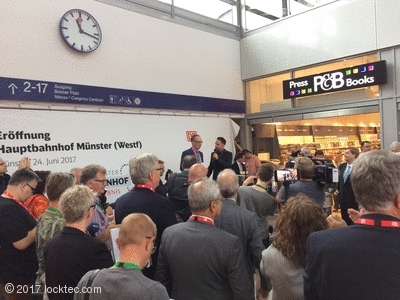 The managing director of LockTec GmbH, Olaf Clausen, and sales manager Frank Sieg were invited to the opening in Münster in addition to countless representatives from politics, church and society. 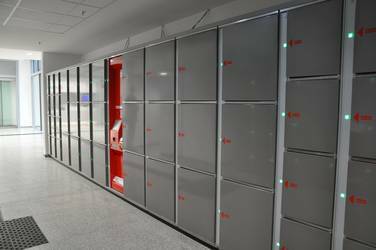 The customer-friendly lockers were well received by the guests and visitors of the station and have been used extensively ever since. Secure, lobust and versatile - left luggage lockers by LockTec. Locksafe5 is the locker system for public spaces - keyless, electronic lockers. 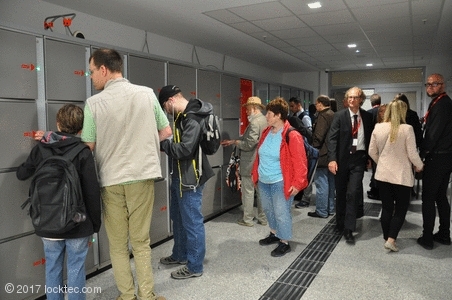 Locksafe5 by LockTec - smart lockers for train stations, airports and bus terminals.